Goods lifts are fast becoming a popular choice for Architects when planning movements within buildings and external areas, helping to enable underground bin stores in both commercial and residential projects and bike stores in residential developments. For any lift the benefits are obvious - the lift platform can be virtually the same size as the load and in some applications an attendant can also travel in the lift. Placing bike or bin storage underground helps with security and/or hiding unsightly yet necessary bins from view, offering immediate improvement in the visual environment and an increase in usable ground level space. Some less obvious but equally important benefits of underground bins are the measurable reduction in littering and vandalism and less foul odour due to cool year-round subterranean temperatures. 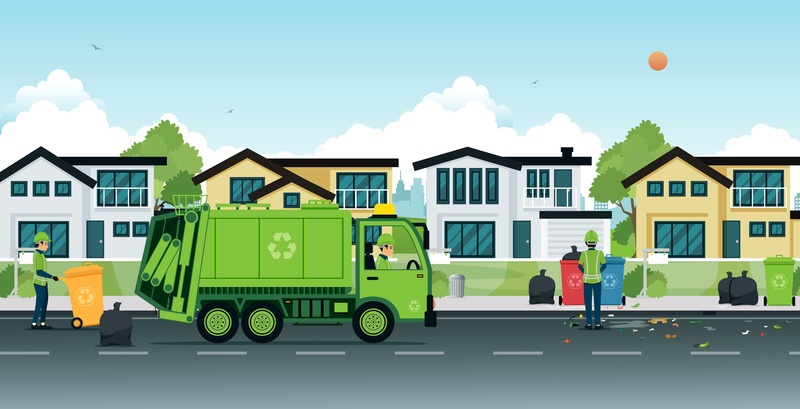 All manner of goods can be transported between levels easily, safely and effortlessly – wheelie bins, 360-litre bins, Eurobins, bikes (and bike owner) can be transported vertically. Steps and stairways need not be a problem, a split-level lift can eliminate any ramp and the large amounts of space they require, also avoiding any dangers of the bin or bike moving on it's own. In built-up areas and conurbations where space is at a premium, it makes sense to place bike storage areas and combined refuse areas underground. Various sizes of bin lifts or bike lifts are available with the most popular intended to accommodate two or three residential wheelie bins and larger units being designed for apartment buildings and commercial use. Our Goodsmaster Plus (which can take up to two lift attendants) and Goodsmaster range (goods-only lifts) are the most popular in waste management due to their size and capacity options. Whilst most regulations recommend an accompanied goods lift, it may be the preferred option to send the large waste bins unaccompanied, as there may be limited space within the car for attendants. finally our Levelmaster can provide a tailored solution for shorter travel requirements. For bike lifts, where the owner accompanies the bike, we would recommended our bespoke Goodsmaster HD range or a passenger lift also suitable for goods. Sometimes a separate goods lift for larger waste management rather than sharing passenger/goods lift, is required. This could be because the bins may require a larger capacity, or that it is hygienically better to do so. Whatever the lift requirement, we can be certain that the pressure for more housing will increase with our population and the solution found vertically, increasing the requirement for lifts. We will continue to meet the needs for accessibility for everyone in the entire built environment, with housing at the forefront of our market areas. We work in both private and public housing, forming strong relationships with leading contractors for design and build tenders, working with architects and clients in traditional procurement routes, and liaising directly with Housing Associations to provide lifts based on the needs of the tenants. Additionally our home lifts are helping thousands of home owners everyday. New town-house style homes with several floors and high specification homes are increasing the need for lifts in the home. Once lifts for high-end housing were the ultimate luxury, often accompanied by the convenience of a service lift or dumbwaiter. Today these lifts are increasingly part of a luxury specification or a lifestyle choice, future-proofing any home - why not read more about the rising trend of lifts for houses. Who knows what the future will bring, for business, for homeowners and for housing managers why not find out more about the work we do within the housing sector? Still unsure? No problem! Get in touch to speak to one of our lift experts.